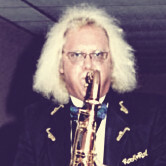 I am rapidly approaching the 50th anniversary of my first gig where I was paid for playing the saxophone. Over the years, I’ve made plenty of mistakes, and hopefully I’ve learned a little bit from at least some of them. Here are a few tips, based on my experience, which will help keep you working. FIRST, LEARN THE RIGHT REPERTOIRE! 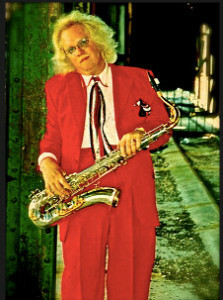 I am forever amazed by the young players I often meet who know every obscure jazz and bebop tune in the world, along with all the changes, but give you a blank stare when “Mustang Sally” is called by the leader on a gig in order to fulfill a request. The simple fact of the matter is that if you plan on making a living playing the saxophone, then you need to learn the tunes that are actually performed by cover bands, since in all probability, that’s where you will be working. Spend a little time in bars with cover bands and write down the songs that are actually played. Do the same at the next few weddings you attend. There is no need to accumulate this data from jazz clubs with fewer than 20 patrons in attendance. Those of you who have visited my office know that I have a great fondness for blue jeans and T shirts. Those of you have played gigs for me in one of my own groups or where I was the contractor know that I will absolutely fire you on the spot if you show up in blue jeans and a T shirt. You’re not only getting paid to play, you’re getting paid to look the part. Your attire at a gig MUST be such that there is absolutely no possibility that you might be mistaken for a member of the audience. Those folks out there in the audience have certain expectations and fantasies, and they must not be disappointed. Make a point of observing the attire of successful acts. You cannot be over-dressed for a gig! They call it “the music BUSINESS” for a reason…..trust me, you can head off all sorts of misunderstandings if you will just take a few minutes with the entertainment buyer and “write it down”. A well drawn contract should also include many things beyond the hours of performance and the fee agreed upon. You should address things like when the venue is available for load in and load out; electrical requirements, parking for musicians, case storage during the gig, and many, many other items. In a future blog, I’ll provide you with the contract form we use for The Low Budget Horns so you can see some of the items we cover. Having a contract, of course, means nothing if you don’t understand it, so take a course or two in business law at your local college, or at least spend an hour or two with your attorney having these things properly explained to you. If you play a gig and have a problem, but did not execute a contract in advance, don’t blame anyone but yourself. IT’S A JOB: ACT LIKE IT! Going to play a gig is absolutely no different from going to work at Sears: it’s a job, you’re lucky to have it, act professional. If you worked at Sears, you couldn’t drink alcohol or use recreational pharmaceuticals on the job, you can’t eat food provided fir other people, you can’t bring your girlfriend and her friends, you have to start to work on time and finish on time, and only take breaks that are mutually agreed upon. I don’t understand why any of this seems to be such a difficult concept for musicians to absorb. There is no excuse whatsoever, none, for not having an up to date promotional package about you on the internet. It must include a PROFESSIONALLY SHOT picture (I don’t care if your girlfriend has a camera, she works at Sears and doesn’t do this for a living) links to videos on YouTube, a brief bio, and your current professional calendar. You should also be sending out email notices (it costs nothing but a little bit of your time) of upcoming public gigs and significant professional events. I’m not real sure a printed promo kit is necessary any more, but remember you must have business cards of exceptional quality (there’s very little difference in price between the finest and the worst business cards, and don’t even think of printing your own on your computer) and maybe a disc with some video clips.